Dreams and destiny, magic and mystery, and an impossible romance that has pierced the veil and holds the power to alter worlds. 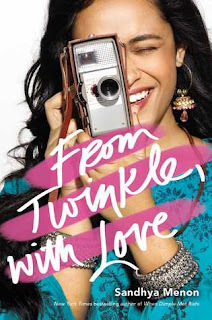 Every human being knows heartbreak, but Lilly shouldn't be feeling that... not anymore. Her time as a human ended a long ago. How? She cannot remember, and if it wasn't for the intriguing green-eyed boy, she probably never would have. From the moment he pervaded her dreams, brow beaten and defeated, Lilly wrestled with the hypnotic pull of this hauntingly familiar human. her duty as a Soul Guardian is to answer the call of struggling Souls on earth, but nothing about this particular Soul is what it seems. Forgotten memories are welling up within her, brining feeling's that she cannot explain or control. Strange animals are materialising out of nowhere and causing mayhem in her harmonious world. She's rattled by visions of drowning in a life long ago, and she's certain her great-grandfather's dusty manuscript holds a magical secret she is destined to find. On the brink of discovering the secrets of her past, Lilly's heart will be tested by feelings so powerful, that nothing can hold them back - not even time, space or death. Little does she know, that she and the green-eyed boy are spinning the threads of fate that will alter the fare of worlds. Fall in love with Gabriel Lea's soulful fantasy romance series for not so young adults. 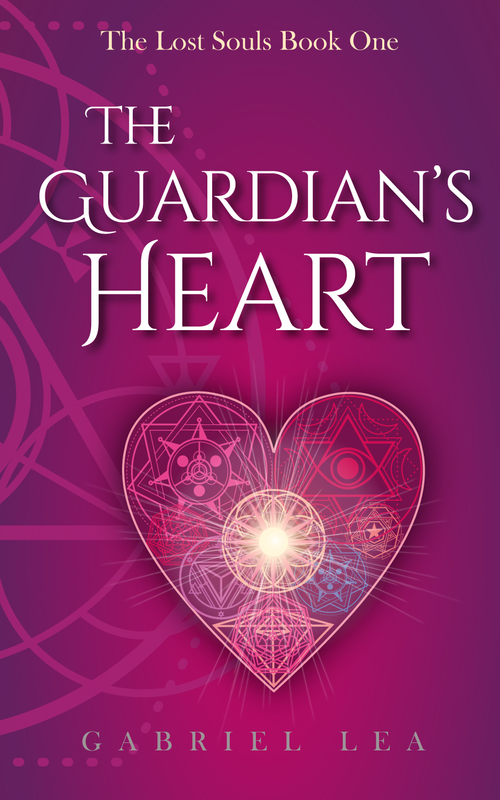 "The Guardian's Heart" will dare you into a visionary world, hidden beyond a million burning stars, and leave you believing that magic really does live within us all. I requested this book from the author back in January. I thought that this book was just absolutely beautiful and the premise sounded really interesting. 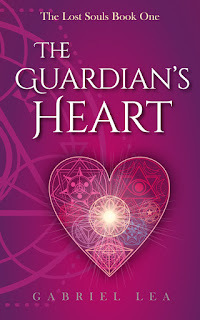 I am super excited to get into this guardian angel story and see where it takes me! I also think that this is the perfect month for me to be reading this book! Oh. My. Gosh. Gabriel Lea's writing is phenomenal. From page one you are thrown into a vivid world with swirling colors. It was absolutely amazing to read. And I think it is really important to mention that the descriptive writing does not tire you out, instead it seduces you into reading more and more. It was an absolutely amazing experience. The flow of the worlds was incredible. The words were so well thought of and it just encouraged the words around them to create this flow that speeds you through the book. I absolutely loved the writing and cannot wait to read more from the author. There were so many links and references to a lot of what people consider "everyday problems." This book had a huge focus on human suffering and, the author, tells a story of how it is okay to be upset, to be having problems. The author sends a lot of incredible messages in this book. The author sends a message that although everyone does struggle with something at one point, they are not all equal to one another but your struggle should be respected and the person should be treated with kindness as only love and self-love can help you through your struggles. I loved the story and how it was conducts. It was amazing and heartfelt. Something that I definitely would read again and again. Gabriel is an amazing story weaver. I loved all the characters in this book. I have no idea what else to say than that you should experience it yourself! It was phenomenal. I loved this story. It was amazing. I recommend this book to everyone. It was a fantastic book with an important underlying message. I cannot wait for the next book in the series. I cannot wait to see how it all progresses from the ending of the book. so good. must recommend. all must have the feels. It is pretty much embarrassing. But I really loved this book. It was fantastic. After spending many years in advertising as a Copywriter, Gabriel is realizing her dream of becoming an author. her love of the written word and dedication to her craft has culminated in her debut YA fantasy romance series, The Lost Souls. Born in 1972, Lea has a fearless and colorful history. She has been a banker, clothed designer and seamstress, singer, cleaner, sales assistant and even a fry cook! 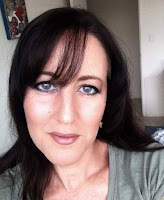 She has studied part life regression therapy, reads tarot cards, is addicted to all forms of sugar, withers if she doesn't get enough sunshine and has never been afraid to chase a new dream. She currently lives by the sea in Australia where she works as a Remedial Massage Therapist and Mindfulness Meditation Instructor and dedicates all of her spare time to reading and writing YA fantasy books. "My writing is a precious collection of my life's learning, woven into stories that I hope to speak to hearts of others. It is my greatest wish that my books touch peoples' lives and help in some small way to create a better world."